Each assignment that you have created in the course will have its own column with the rows being the enrolled students. 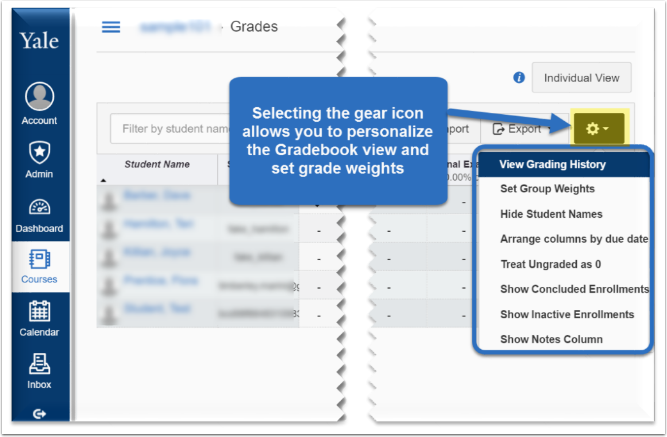 Finally, by selecting the gear icon, you can customize your view of the Gradebook and set the category weights. How do I use Speed Grader?